Do you like the idea of having floral arrangement above the table? Today the Bloom lamp family with its distinctive original structure covered by sparkling polycarbonate flowers as pure and precious as crystal adds a new elliptical shape in two different sizes and functions: it can be hung or used as a wall light or ceiling fixture. 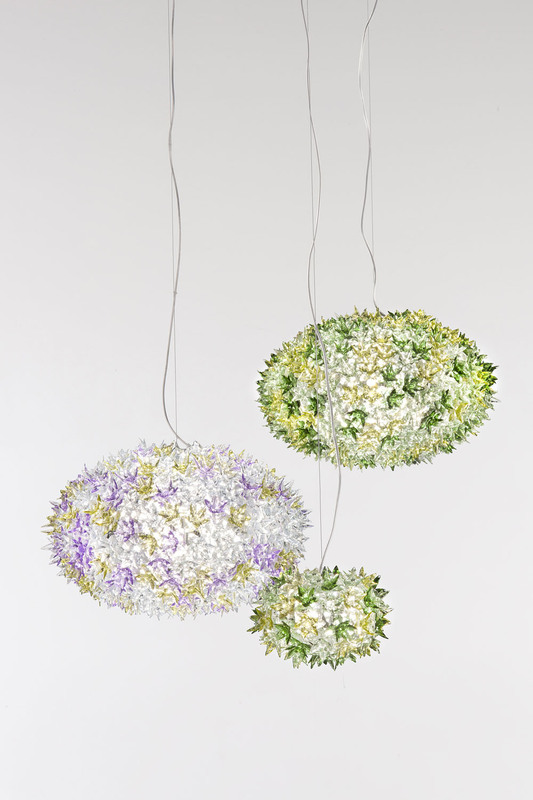 As delicate as a spring bouquet, the Bloom lights offer new and sophisticated multicoloured nuances in lavender and mint or an elegant transparent white monochrome. 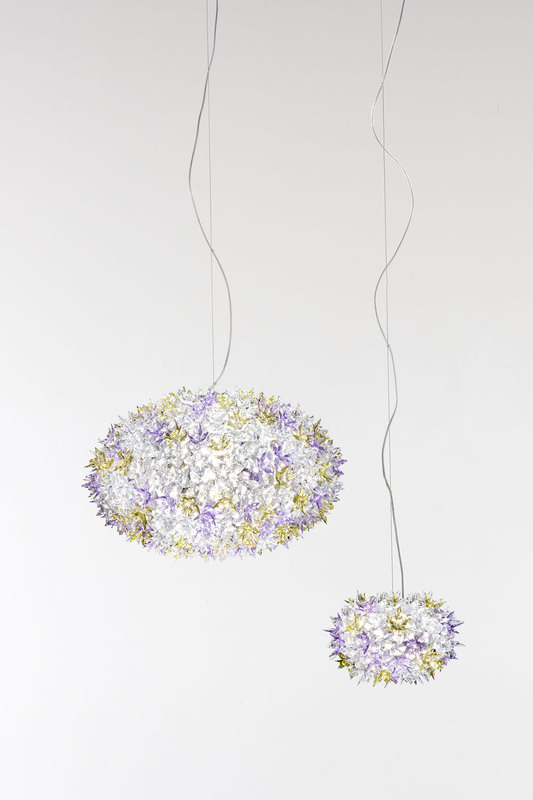 A series of little lights located on the internal frame beams light shafts through the petals to refract on their faceted surfaces and multiply in a thousand reflections. 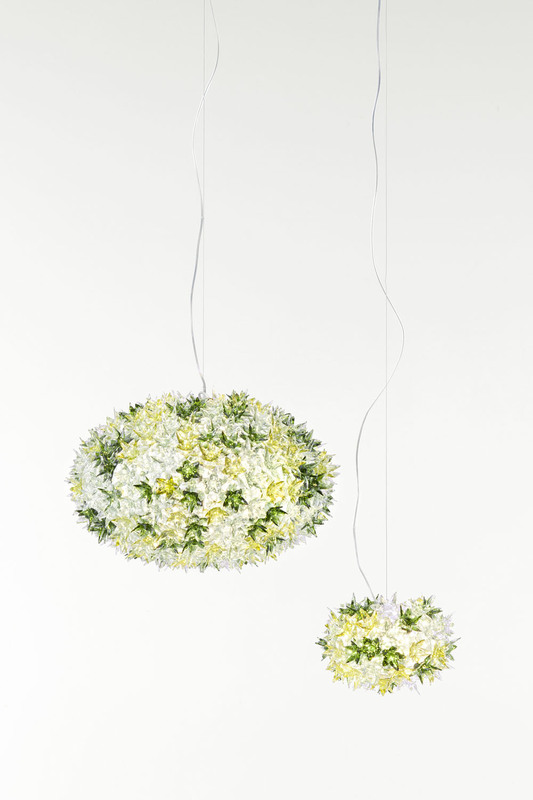 The range of models available now includes Bloom S1 and S2, two different sizes of elliptical pendant lamps. 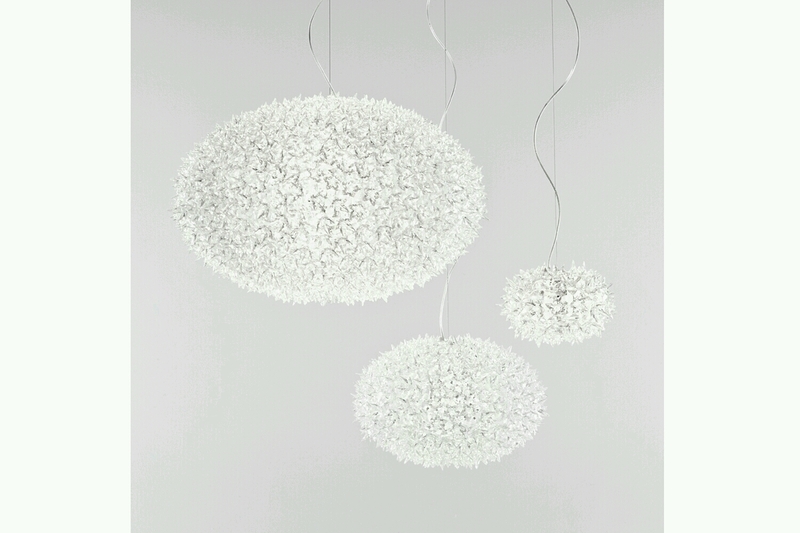 Bloom CW2 can be used as a wall light or ceiling fixture. The latter function is also available in a larger size (Bloom C1).